Mumtaz Lashari Sindhi Classical Music Singer. He is great Sindhi Music Singer, he created good name in Sindh Music, he played a great role in popular Sindhi Folk Music, Sindhi Songs, Sindhi Pop Music all across the Sindh. He enriched the world of music and enthralled the audiences with his masterful artistry. His rendering of "Sindhi Young Cultural Music" "Sindhi Hit Songs" was divine and used to enthrall and transfix listeners, and transport them into a different world. He is also awarded with Pride of Performance in 2015 by the Government of Pakistan in recognizance of his services in the music of Pakistan. He played all "Hit Songs" of great poetry of Popular Sindhi poets, Mumtaz Lashari sung lot of Super Hit Sindhi Songs New on Radio Pakistan, KTN TV Channel, PTV and other Channels, and also he sung in marriage ceremonies, Mela and Shrines of Bizrigs in Sindh and other local Mehfils. Mumtaz Lashari was born in Larkana Sindh Pakistan to Non-musician Baloch family. 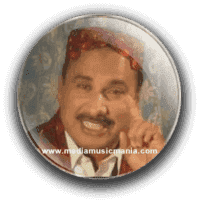 Ustad Mumtaz Lashari is a Sindhi and Siraiki Super Hit Classical Musician of Pakistan and Classical Singer whose impact on Sindhi Music is pervasive. Ustad Mumtaz Lashari is such a Musician who brought new colors, new ways and renovations to Sindhi and Siraiki Music and other cultural Music. He ha sung Sindhi Cultural Pop Music, Sindhi Sufi Music. He is very popular Artist of Radio Pakistan Hyderabad. I have selected most popular Sindhi Songs List of Mumtaz Lashari.